An Islamic bank is a financial institution which operates with the objective to implement and materialise the economic and financial principles of Islam in the arena of banking. “An Islamic Bank is a financial institution whose status,rules and procedures expressly state its commitment to the principle of Islamic Shariah and to the banning of the receipt of interest on any of its operations”-OIC. The Organisation of (Ali & Shaskar 1995, pp-20-25) Islamic bank is a “company which carries on Islamic banking business …. Islamic banking business means banking business whose aims and operations do not involve any element which is not approved by the religion Islam” (Act No 4.276). Dr. Ziauddin Ahmed says, “Islamic banking is essentially a nomative concept and could be defined as conduct of banking in consonance with the ethos of the value system of Islam” (lbid). The special feature of the investment policy of the bank is to invest on the basis of profit loss sharing system in accordance with the tents and principles of Islamic Shariah. Earning profit is not the only motive and objective of the Banks investment policy rather emphasis is given in attaining social good and in creating employment opportunities for the desiring peoples of Bangladesh. Accordingly the plan envisages composition of the investment profit-folio with for agriculture and rural investment, 16% for industrial term investment, 14% for industrial working capital, 6% for housing and real estate, 6% for transport and communication, 2% for electricity, gas, water and sanitation services, 2% for storage’s 40% for import, export and local trade and trade related activities and % for other productive purposes by the end of the plan period, i.e. the year 2004. Further, in order to diversify investment profit-folio, the bank engaged itself in investment operations through special schemes introduced during the years. The Bank is planning to introduce new investment schemes in addition to welfare oriented investment schemes such as Rural Development scheme. Its new investment schemes are Transport investment schemes, car investment scheme, small business investment schemes, Doctors investment scheme, Household Durables investment scheme, Housing investment scheme and agricultural implements investment scheme etc. Besides the bank is financing various economic groups in different sectors in both urban and rural areas for upliftment of their economic condition. Investment operation of a Bank is very important as the greatest share of total revenue is generated from it, maximum risk is centered in it and the very existence of a Bank mostly depends on prudent management of its Investment Port-folio. For efficient deployment of mobilized resources in profitable, safe and liquid sector a sound, well-defined and appropriate Investment Policy is necessary. The important feature of the investment policy of the Bank is to invest on the basis of profit-loss sharing system in accordance with the tenets and principles of Islami Shariah. Earning of profit is not the only motive and objective of the Bank’s investment policy rather emphasis is given in attaining social good and in creating employment opportunities. A sound well defined, well planned and appropriate investment policy frame work is a pre-requisite for achieving the goal of the Bank i.e. implementation and materialization of the economic and financial principles of Islam in the Banking area and justice in trade, commerce and industry and to build socio-economic infrastructure, create opportunity for income and sustained economic growth of the country. To finance various developments schemes for poverty alleviation, income and employment generation with a view to accelerating sustainable socio-economic growth and upliftment of the society. To shun even highly profitable investment in fields forbidden under Islamic Shariah and is harmful for the society. The Bank extends investments under the principles of Bai-Marabaha, Bai-Muazzal Hire purchase under Shairkatul Meilk and Musharaka. The Bank is making sincere efforts to go for investment under Mudaraba principle in near future. Observance of the legal investment limit of the bank. Observance of the legal investment limit of the client. Optimum utilization of investable fund. Safety and security of the investments. Investment at minimum possible risk. Conform to central bank’s investment restrictions. Preference to short term investments. Preference to the investments for small size. Investment is the action of deploying funds with the intention and expectation that they will earn a positive return for the owner. An Islamic bank makes a direct investment in short, medium & long-term projects in commercial, industrial, agricultural, real estates and housing, transport & other services. A profit-loss sharing bank, particularly the SIBL anges in may types of financing arrangements. An Islamic financial technique that adopts “equity sharing” as a means of financing projects. Thus, it embraces different types of profit and loss sharing partnership. The partners (entrepreneurs, bankers) etc.) share both capital and management of a project so that profits will be distributed among them as per rations, where loss is shared according to ratios of their equity participation. Bai-Mudarabaha may be defined as a contract between a buyer and a seller under which the seller sells certain specific goods (permissible under Islamic Shariah and the Law of the land), to the buyer at a cost plus agreed profit payable in cash or on any fixed future date in lump-sum or by installments. 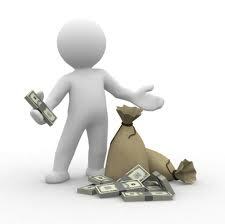 The profit marked-up may be fixed in lump-sum or in percentage of the cost price of the goods. Bai-Muajjal may be defined as a contract between a buyer and a seller under which the seller sells certain specific goods (permissible under Islamic Shariah and the Law of the Country), to the buyer at a cost plus agreed profit payable in cash or on any fixed future date in lump-sum or by installments. The seller may also sell the goods purchased by him as per order and specification of the Buyer. Under this mode Bank will executive purchase contract with the client and make payment against purchase of product, which is under process of production. Bai-Salam contract will be executed after making any investment showing price, quality, quantity, time, place and mode of delivery. The profit to be negotiated. It this mode the payment as the price of the goods is made at the time of Agreement and the delivery of the goods is deferred. Isteshna’a is a contract between a manufacturer/seller and a buyer under which the manufacturer/seller sells specific product(s) after having manufactured, permissible under Islamic Shariah and Law of the Country after haying manufactured at an agreed price payable in advance or by installments within a fixed period or on/within a fixed future date on the basis of the order placed by the buyer. The term Ijarah has been derived from the Arabic works Ajr and Ujrat which means consideration, return, wages or rent. This is really the exchange value or consideration, return, wages, rent of service of an Asset. Ijarah has been defined as a contract between two parties, the Hiree and Hirer where the Hirer enjoys or reaps a specific service on benefit gainst a specified consideration or rent from the asset owned by the Hiree. It is a hire agreement under which a certain asset is hired out by the Hiree to a Hirer against fixed rent or rentals for a specified period. Hire purchase under shirkatul Melk is a special type of contract which has been developed through practice. Actually, It is a synthesis of three contracts: Shirkat, Izara and sale. Shirkat means partnership. sharikatul Melk means share an ownership. When two or more persons supply equity, purchase an asset, own the same jointly, and share the benefit as per agreement and bear the loss in proportion to their respective equity, the contract is called Shirkatul contract. The word “Quard” is an Arabic word” which means loan or credit on advance. The literal meaning of Quard is giving “Fungible goods” for use without any extra value returining those goods. It must follow the principle of equal for equal return with homogenious goods. Fungible goods may be rice, oil, salt, money etc. In banking sector, money is used as quard. Quard is Halal by Islam for not to pay any extra or interest in return. Professionals, Service-holders, Businessmen, Real Estate Developer and other categories of people who are not entitled for availing investment facilities under Housing Investment Scheme, shall be eligible under this program Investment is to be extended to build new houses and for extension/ completion of the house already constructed, commercial building, shopping complex, flat apartment etc. Under this scheme, investment in being allowed to the existing successful businessmen and potential entrepreneurs in this sector for all types of road and water transport with simple and easy terms and conditions. The bank is also extending investment facilities to multinational companies, established, business houses and well to do officials and professionals for acquisition of private cars, microbus and jeeps. Islami Bank Bangladesh limited (SIBL) envisages an economic system based on equity and justice. Taking into consideration that majority of the population below poverty line lives in rural Bangladesh, the Bank has devised a Rural Development Scheme (RDS) with a view to creating employment opportunity for them and alleviates their poverty through income generation activities. The SIBL through its RDS project has been implementing integrated programs. For the landless poor, eage laborers and marginal farmers aimed at meeting their basic needs and promoting their comprehensive development. Consciousness among the poor needs to be enhanced so that they can firm up their position in the socio-economic structure of the country. In order to consolidate their economic base, invested money should be used in income generating activities so the poorer section of the population can become self-reliant. RSD works for the realization of that objective. Bangladesh as a developing country has been trying for its overall economic growth. One of the major problems confronting its growth is lack of development of enterprises and potential entrepreneurs who can create more job opportunities by establishing new enterprises in the industrial sector. There are a number of educated unemployed youths and also skilled & semi skilled unemployed persons in the country. Besides, every year quite a good number of youths are coming out of the general/technical educational institutions to add to this already crisis ridden employment market. Development programs and efforts will bring no meaningful result unless and until income generating employment opportunities can be created for the growing number of unemployed people including the educated unemployed youths. Establishment and expansion of micro industries can play a vital role in creating more employment opportunities as well as in the overall socio-economic development of the county. Social Investment Bank Limited has been appreciably participating in this direction by financing industrial sector. With a view to creating wider base for industries, the Bank has decided to launch “Micro Industries Investment Scheme” through its Branches. This scheme has been devised to career to the investment needs of those persons who intend to set-up new micro industrial ventures or to restructure their old units by way of BMRE involving a total cost of TK. 5.00 lakhs. This is intended mainly to create new jobs for the educated, skilled & semi unemployed and also to encourage those who remain outside the purview of investment due to shortage of funds and insufficient collateral. The scheme has been prepared with easy terms and conditions to encourage the small entrepreneurs, educated unemployed youths and skilled/ semi skilled persons to come forward for establishment of micro industries commensurate with the local demand. Cash Waqf provides a unique opportunity for making investment in different religious, educational and social services. Savings made from earning by the well off and the rich people of the society can be utilized in our organized manner. Income earned from these funds will be spent for different purposes like the purposes of the waqf properties itself. Not surprisingly, in the competitive arena of marketing era SWOT analysis is a must based on Product, Price, Place and Promotion of a financial institute like private bank. From the SWOT analysis we can figure out ongoing scenario of the bank. So to have a better view of the present banking practices of Social Islami Bank Ltd.
1 Internal factors which are prevailing inside the concern which include Strength and weakness. 2 On the other hand another factor is external factors which act as opportunity and threat. 1 Reluctance to ad campaign. 3 Lack of consumer credit scheme. 4 Manpower is not sufficient. 5 Marketing policy is not well setup. 6 Limited number of branches in its network. 8 Many inexpert and laggard assistant officers. 10 Insufficient number of deposit Scheme and loan. 2 Introducing consumer credit scheme. 3 Growth of sales volume. 4 Introducing branch banking through online. 5 Develop relations and correspondence with foreign banks. 6 More concentrated Banking based on Islamic Shariah. 7 Few Competitors practicing Islamic Banking. 1 Competitors have more attractive deposit schemes. 2 Bangladesh Bank has no well established Islami Banking Rules. 3 Different classic services of other banks. 4 Entrance of new private commercial banks. 5 Young, energetic, dynamic, talent and smart work force of competitors. 6 Govt. imposes high rate of taxes and VAT. 7 Political unrest and Economic recession. 8 Illegal business operation by the some clients.